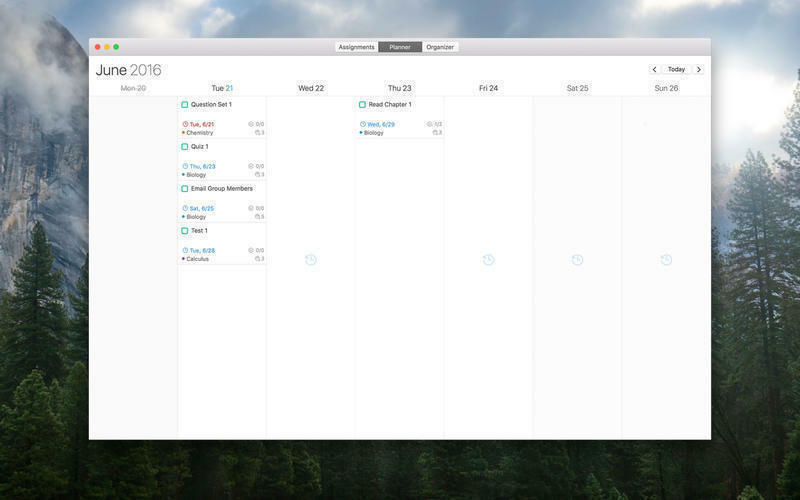 Organize your classwork, integrating with iOS and iCal. Is there a better alternative to iHomework 2? 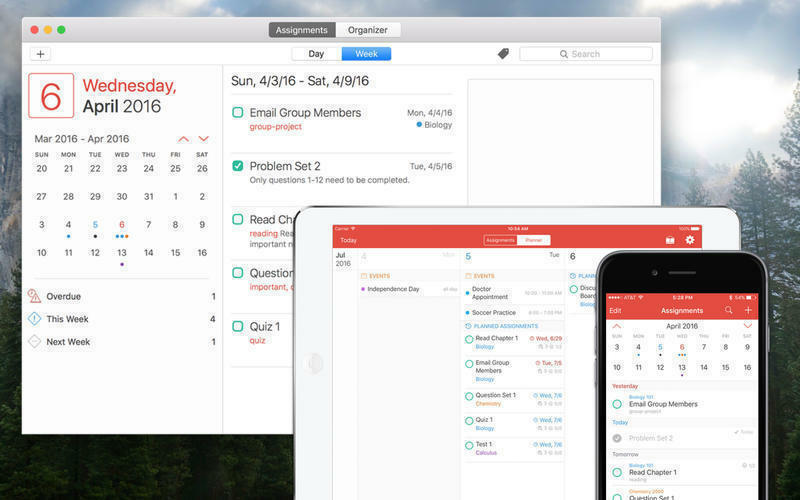 Is iHomework 2 really the best app in Personal Info Managers category? Will iHomework 2 work good on macOS 10.13.4? 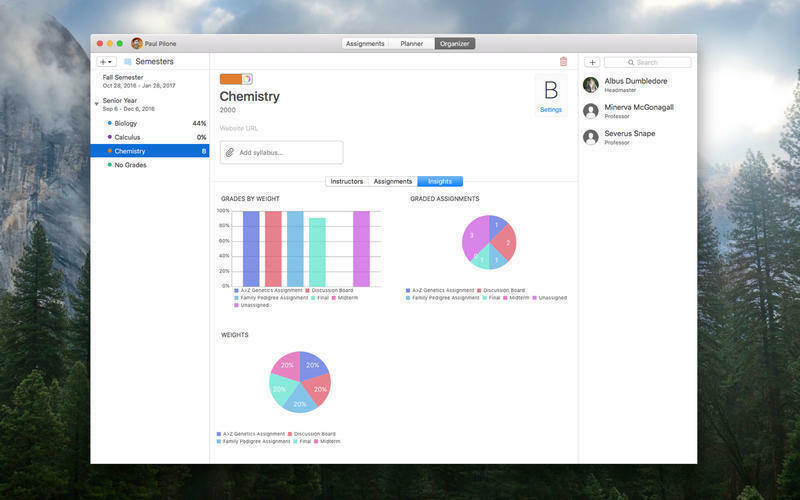 iHomework 2 is the perfect organizer for any student and makes tracking your school work a breeze. Let iHomework 2 organize your work so you can focus on getting it done. 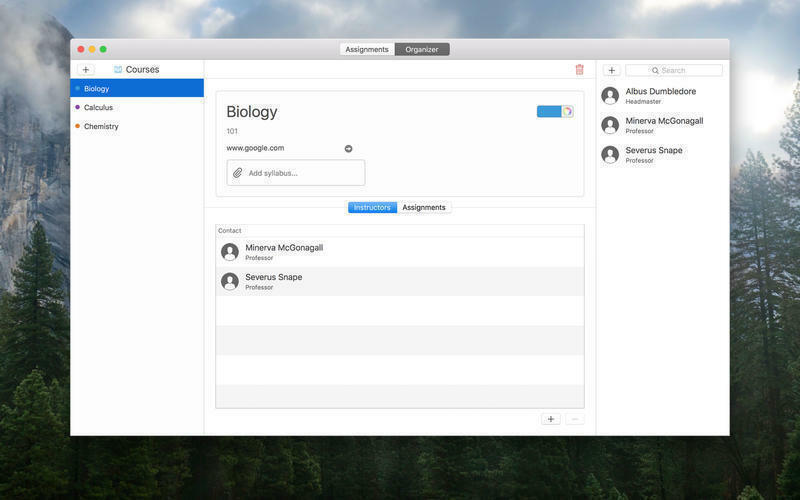 Track your assignments, courses, and teachers with minimal effort. iHomework 2 is focused on making it as easy as possible to enter and organize your information. With the all new tag system, quickly add information to assignments to group and search it at a later time. Note: iHomework 2 is *not* compatible with the original iHomework. This update fixes a crash after editing Assignments while viewing Course details. iHomework 2 needs a review. Be the first to review this app and get the discussion started! With the all new Planner view, iHomework 2 encourages you to take a proactive approach to your school work. 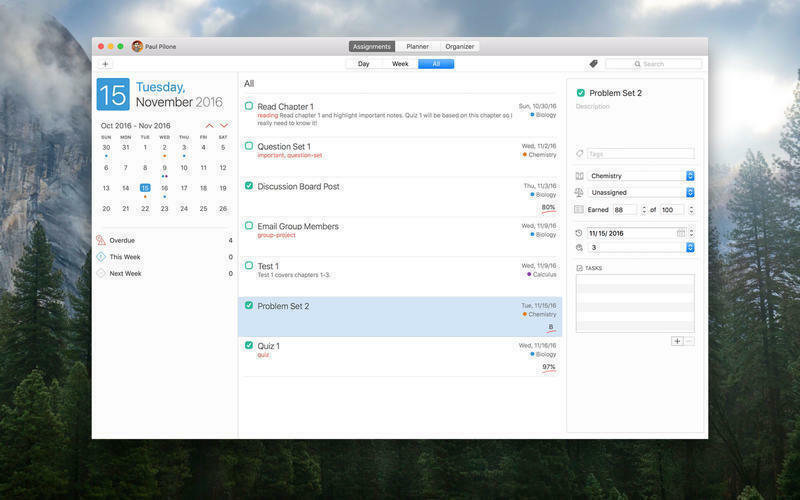 No more waiting until last minute to get your work done. Create an iHomework account to keep your data synced between your Apple devices including iPad, iPhone, Mac, and Apple Watch. iHomework accounts are a great option for tracking multiple students' information on the same device!